Paton College offers traditional dorm-style rooms for budget-minded travellers and groups. Each private bedroom is simply furnished and contains either one double bed or two single beds, while washroom and kitchen facilities are shared with other guests. All Paton College buildings have been recently renovated, making them a clean and comfortable option for your visit to St. John's. 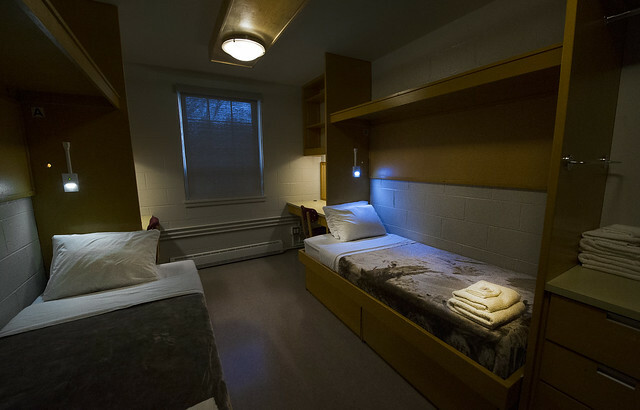 Paton College rooms in Hatcher House are available year-round. Standard Twin room: each room contains two single beds, a desk, and storage space. Washroom facilities are shared on each floor. Rooms are double occupancy. Standard Double room: each room contains one double bed, a desk, and storage space. Washroom facilities are shared on each floor. Rooms are double occupancy. *All rates are subject to 15% HST and 4% tourism marketing levy.